Most people know roughly what Minecraft is at this point, even if they haven’t played it. As a sandbox, it appeals to the creative side of many and is fun for it’s own sake. Once you are in it, there are a few neat ways to take it further and learn new and broadly applicable skills. A script that lets you export areas of your Minecraft world for 3D printing. Minecraft.Print() essentially turns Minecraft into a digital clay style 3D CAD system. ComputerCraftEdu lets you create and program computers, and even better robots to do your bidding and automate your Minecraft world. Why build everything yourself when you can get a hoard of robots to do the mundane things for you or simulate a giant ant colony. CanaryMod is somewhat similar but runs outside of the Minecraft world inside of in the simulation altering the matrix itself. 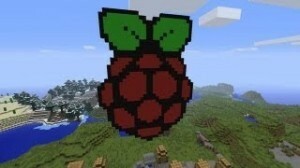 Minecraft can also run on a Raspbery Pi. It’s fun just to have a whole world on a server you can carry in your pocket but take it further and you can control the real world by connecting redstone inside the minecraft world to real IOs on the Raspberry Pi and your minecradft world becomes an interface for your home automation or other project! I have to hand it to Autodesk, with their 123D App series of programs is amazing for taking anyone, of any age from novice to using professional CAD tools. Tinkerplay is a tablet app for kids to design their own custom action figures / dolls and output files for 3D printing. If you don’t know where to start with 3D printing but are excited about it, this is the place to begin.